Take a look at this 4 bedroom 2 bath home constructed in 2017. It features Master suite, big bedrooms, open concept, maintenance free exterior. 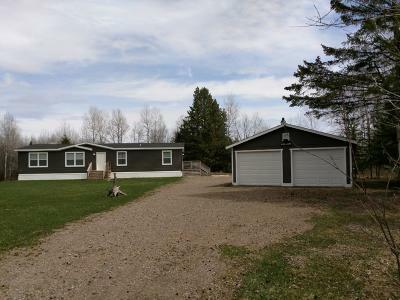 Nestled in 5 acres of quiet wooded area. 2 car detached garage with extra storage shed. Perfect for first time home buyers or anyone looking to downsize. Call to schedule a showing today!